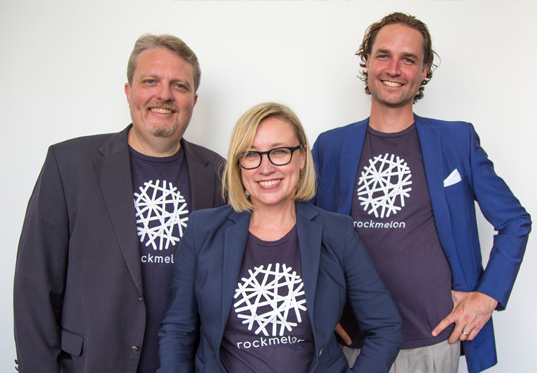 Sydney Startup Hub company Rockmelon has secured $3 million from an angel investor to fund the international expansion of its digital learning platform designed to change the lives of autistic children around the globe. Rockmelon has been developed with the help of an international team of leading autism experts and clinicians. Jobs for NSW CEO, Nicole Cook, said Rockmelon is a fantastic example of how the Sydney Startup Hub is fostering ground-breaking innovations to create new high value jobs for the future. “Rockmelon opened at the Sydney Startup Hub last year with just one staff member but has already grown to 17 staff and now has its sights on global expansion,” Ms Cook said. Rockmelon’s executive chairman, Alex Andre de la Porte, said he was inspired to launch the startup after his son Beau was diagnosed with autism, which affects about 164,000 Australians or 1 in every 150 people. “My son is seven and when he was diagnosed with autism there was a lack of digital tools available to help him. I wanted to improve the situation,” he said. “Early intervention can be very expensive so we looked at how we could build a product that could democratise the cost and give more people access to treatment. "However, I was just a guy with an idea so I asked the founder of Autism Awareness Australia, Nicole Rogerson, to take the role of CEO as well as Stuart Waite a startup founder, investor, mentor and product specialist to help build Rockmelon. “Our platform, which was developed with the help of clinicians and experts in the field, has an extensive library of interactive learning modules, including short animations, audio-based and text-based content designed to help parents help their kids,” Mr Andre de la Porte said. Mr Andre de la Porte said basing Rockmelon at The Studio as part of the Sydney Startup Hub had made it affordable to set up in the heart of Sydney, which was essential in order to better access customers and talent.